This book is a sure fire way to create craziness before bed! It starts off as the Hans Christian Andersen story of the Ugly Duckling. But then the ugly duckling realises that a crocodile has snuck in to the book! Chaos ensues as the crocodile tries to eat all the letters (he especially loves the Os and the Ss). The duckling asks the reader to rock the book to put the crocodile to sleep. While he's sleeping the duck gets a crayon and draws a tutu on him. That persuades the crocodile to find another book to live in but how can he get out of this one? Getting the reader to shake the book doesn't work so the crocodile decides to eat a hole in the back cover (obviously). This book is so clever and definitely designed to be read out loud. I particularly love the way it directly addresses the kids reading it, and how it plays with the words and structure of books. 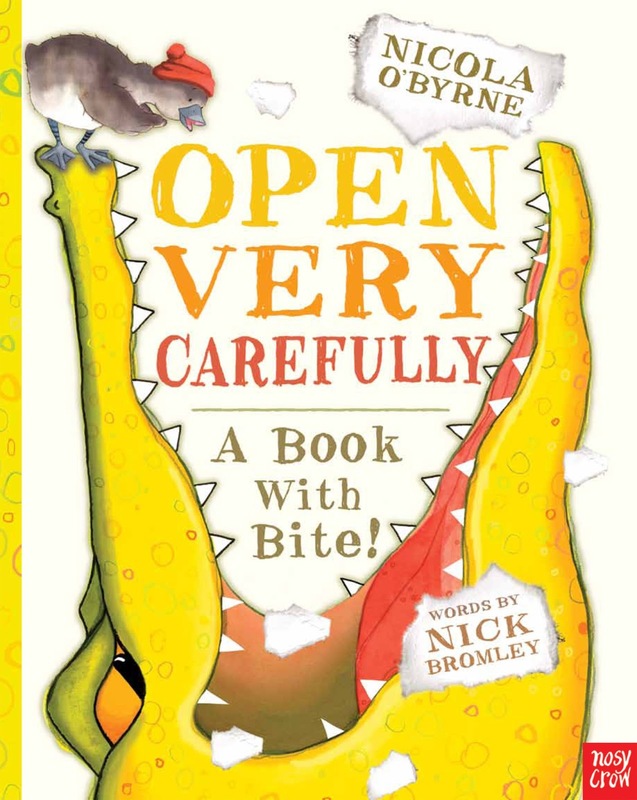 The amazing thing about Nosy Crow books is the unbelievably high production values - the paper is always lovely and thick, and any embellishments (such as a hole in the back cover so a crocodile can escape) are incredibly well done. Who'll love this: Kids, particularly boys, age 3-5 who are looking for more than just a story.